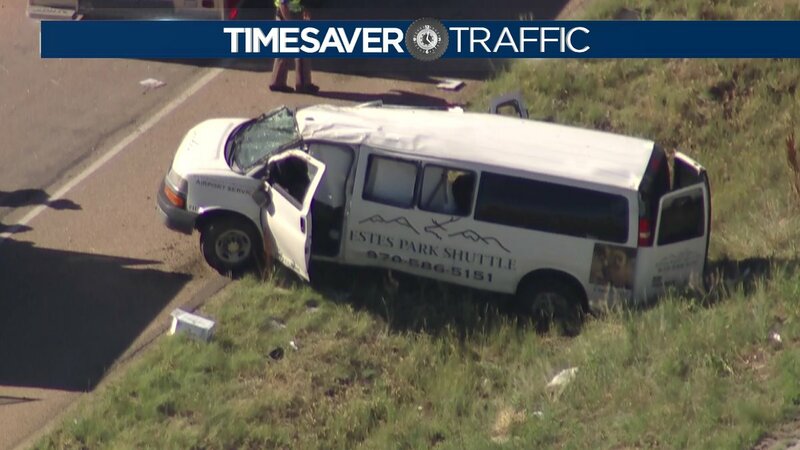 One person was killed in a two-vehicle crash about 20 miles north of Denver on Interstate 25 Tuesday that caused an Estes Park shuttle van to roll off the highway. The collision between the van and a 2006 Chevrolet sedan. Lewis said that the 2011 passenger van, used by Estes Park Shuttles, was traveling northbound on I-25 when a collision occurred with a 2006 Chevy sedan, causing the van to skid into the right hand median and rolling once. One male passenger, 72, died on the scene despite rescue efforts. Five other occupants of the van were taken to area hospitals, according to Lewis. The cause of the collision is under investigation, Lewis said.